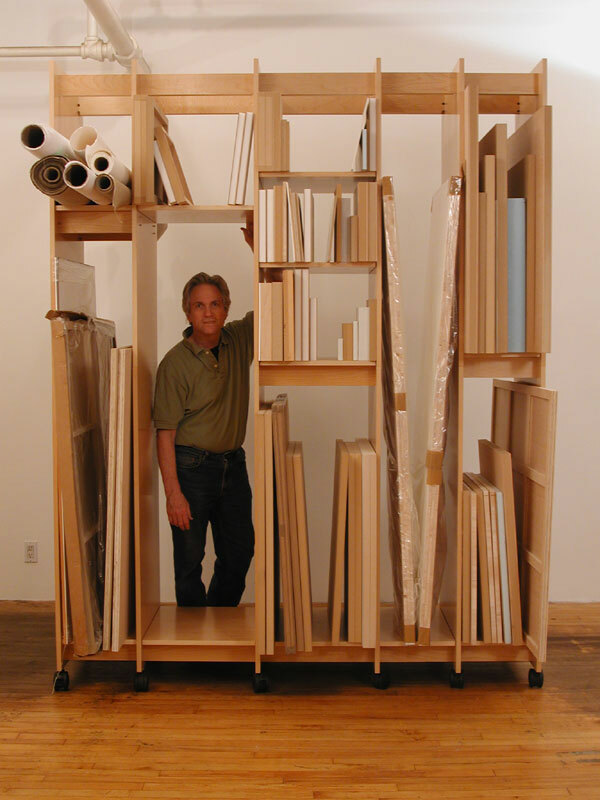 Art Storage for storing and organizing art; paintings, drawings, prints, sculpture, photographs, and art supplies. Art Storage System 69.75" wide. 4 sections 12", 18", 18", 18". 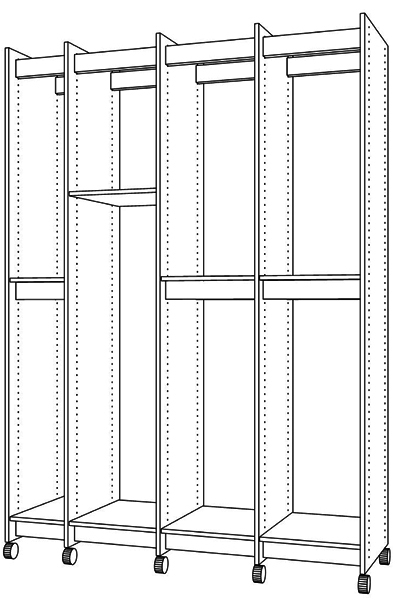 69.75" wide, 99" tall, 23.75" deep.